Mobile broadband is the primary way South Africans get online because of affordability and speed, but the comparative “instability” of mobile offerings next to fixed lines could harm the economy, according to new report by Research ICT Africa. Mobile broadband offers “variable performance” when compared to fixed services and, although mobile offerings may be faster, the report says that meeting the need for stable, high-speed connectivity “required for a modern economy and critical public services” remains a “key South African policy challenge”. In South Africa, mobile broadband is cheaper and faster than fixed-line broadband, while the reverse holds true in most developed markets. Worryingly, though, the research has found that mobile broadband is cheaper for contract customers than those on prepaid, meaning connectivity is more expensive for those least able to afford it. South Africa performs poorly relative to its neighbours when it comes to the cost of prepaid data — particularly in terms of small quantities thereof — but does far better for larger amounts. Nevertheless, on the whole the cost of mobile data in South Africa has fallen due to stiff competition. 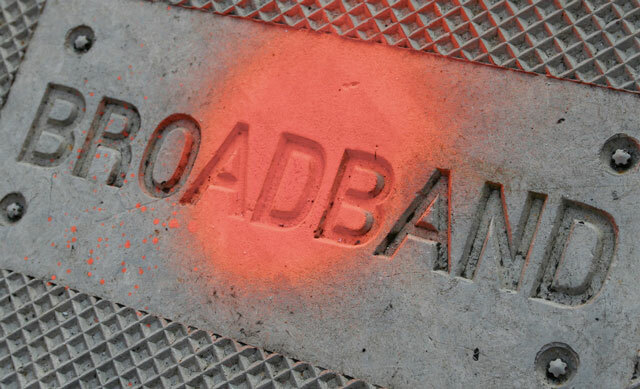 According to the report, if fixed-line operators want to compete with mobile broadband, they need to invest in the new technologies — such as VDSL and fibre to the home — because these offer levels of reliability and stability that mobile broadband does not. Although reductions in mobile termination rates, the wholesale fees operators charge each other to carry calls between their networks, have resulted in the cost of voice calls falling, there is also a decline in demand for voice combined with growing demand for data services. Mobile broadband is the most common form of connectivity for those South African households. Of those households with an Internet connection, more than 50% use a mobile phone or 3G modem, while only 22% have ADSL lines. The low penetration rate of fixed-line services in South Africa means operators cannot enjoy the economies of scale those in developed markets do, according to the report. And despite having more fixed-line users than most of its neighbours, South African fixed-line ADSL also remains relatively expensive when compared to other African countries, making mobile even more appealing. If operators cannot offer better speeds, users will continue to flock to mobile broadband, despite the variations in service quality it offers when compared to fixed services, the report suggests. The major cost drivers behind fixed services in South Africa are local transit costs rather than international bandwidth prices. According to the report, the impact of these prices on the cost of communications requires regulatory assessment. The report says policy and regulation must be conducive to investment in an open-access national backbone, the rationalisation of existing infrastructure, and coordination and sharing of infrastructure. Moreover, it says that because mobile broadband is proving so popular, the Independent Communications Authority of South Africa must ensure spectrum is allocated to operators to provide mobile data services and “to build new revenue streams and grow new value-added services and applications which can further drive demand”.